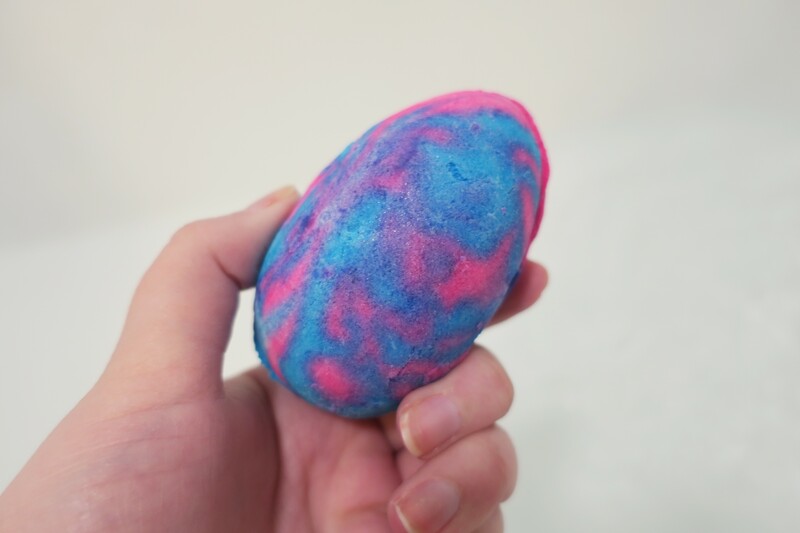 Today is all about the Cream Egg Bubble Bar from the Lush spring range, this one will run you $5.95 and is 3.5oz. This one does come in two different colors, I personally went for the pink and blue shade because I like the look of it better, it reminds me of cotton candy which I love. This one features some really great ingredients such as fair trade cocoa butter, fair trade shea butter and spearmint oil to name a few. This one sounds like a really moisturizing one, for sure. Before we get into talking about the formula and the scent, I want to talk about the appearance of this one a little bit. I love the look of this one, I love the marbled effect and I love the pink and blue colors like I mentioned above it really reminds me of cotton candy. This is also egg-shaped which is very festive and cute and it like a bubbleroon in the way that it is sandwiched together by a layer of ‘cream’. This bubble bar is really pretty in the water, which I will drop a photo down below, it makes a fair amount of bubbles and it leaves the water a really pretty soft kind of periwinkle shade that I am really into, it’s just really pretty and might even be one of my favorite Lush bath colors. 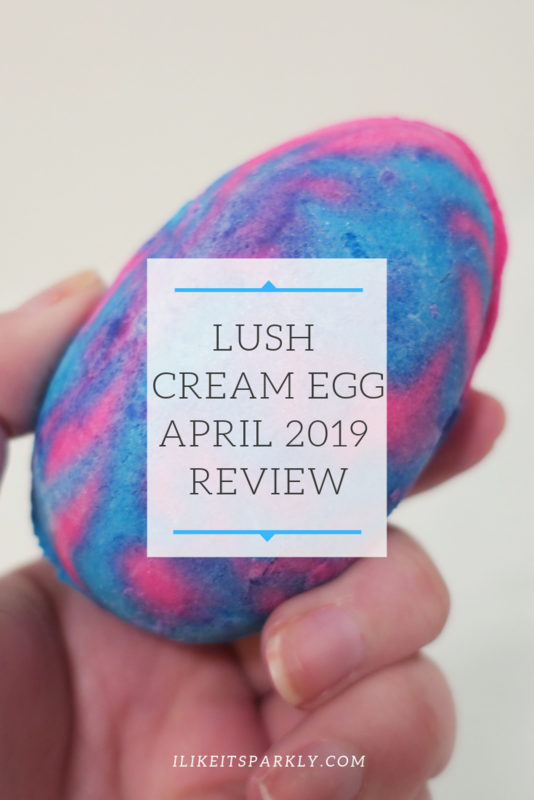 I was a little bit surprised by the scent choice on this one because Lush tends to favorite more fruity and citrusy scents, but I do like other ones and was glad to see a little mix up in scents. This one smells like straight up sweet mint and I like that, it’s not overpowering at all bit it is very clear what the scent is. I found this to be fairly relaxing in the bath and like I could smell it the whole time during my bathing. I didn’t find that the scent really lingered on the skin though, so that is a little bit disappointing. This felt amazing in the bath and left my skin feeling super moisturized after I got out, which I am sure is due to the cocoa and shea butters in this one. I love a moisturizing product from time to time, it just leaves the skin feeling really nice and adds to the whole bath experience. 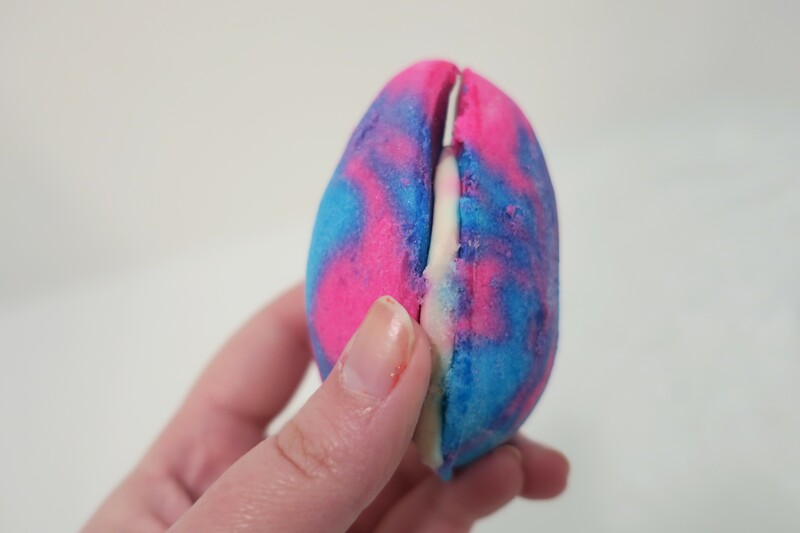 So, overall I did really enjoy this bubble bar and could see myself picking another one up in the future, though I don’t think the scent is a staple product for me personally but I do still like it and enjoy it. I do not think that I will ever try the yellow one though because we all know my feelings about yellow bath products. What is your favorite from the Lush spring line?